The best view of Stockholm demands the use of safety harnesses. 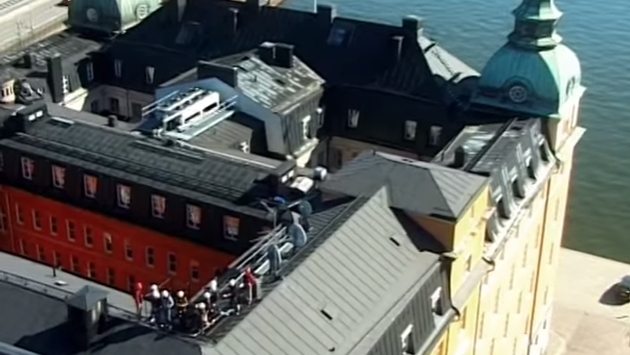 BBC Travel recently showed off something we simply must try if ever in Sweden’s capital: a tour of some of the city by way of some very precarious rooftops. The tour takes travelers 43 meters up to the top of Riddarholmen’s Old Parliament building, garnering wonderful vistas and that feeling in your stomach that comes with walking amid slanted rooftops. Taking a glimpse at YouTube, there is a bevy of videos highlighting the breathtaking view of the city below. Because of our fear of heights, we thoroughly appreciate seeing an adventurer being strapped into a harness. Still, we feel perfectly fine living vicariously through others. The Dallas Morning News’ Robert N. Jenkins, for example, was kind enough to share his experience in a September article. “I find that if I cannot clear the joint by just jiggling the tether, I must nudge the carabiner with a foot — thus forcing myself to stand on one foot on the metal ramp. When my foot nudge fails, I squat down to move the carabiner by hand. 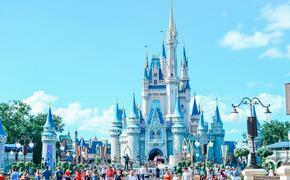 For those who like their tourism extreme, you can find out more at the tour’s official website. Jenkins offers that the experience will cost you in the realm of $86. Aside from money, you better bring your bravery as well.